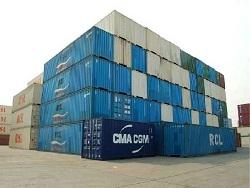 Shipping containers from China can be carried out with the help of the majority of vehicles from cars to airplanes. 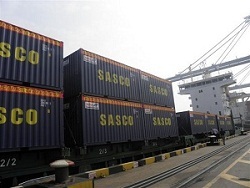 Shipping containers from China was isolated from other modes of transportation due to the fact that the transport scheme is used most often and allows the use of multimodal transport, all of which helps to optimize and delivery times, and cost. Most people who are active participants in foreign economic activity, interested in the question regarding the cost of transporting a container from China. A clear answer to this question is difficult, because the container shipping cost from China affect a large number of factors. To a large extent influenced by the distance between the point of departure and destination, as well as the mode of transport, which will carry out the delivery. For each type of load, will have its own optimal scheme that reduces the costs depending on the conditions and characteristics. The main task of an experienced logistician for the best option for every type of cargo. Bring a container from China is half the battle, the cargo must be still and clear them through customs. Also a maximum container load will minimize the cost of transport, which means that the necessary consolidation. All of this rests on the shoulders of logistician and customs broker. bring a container to the customer. Considering all of the above transport container from China can not be called an easy task. Of course, there is the average cost of the container from China and the landmark can be obtained by a simple calculation. However, the final price will be completely different, because initially using a simple calculator can not be taken into account all the nuances. Only internal consultation with a specialist can help you figure out all the options. One of the main fields of activity of the "Association of Customs Brokers" - a transport of containers from China. Our company specializes in an integrated approach, providing for the selection of the optimal scheme of transportation, loading, tracking, customs clearance and delivery "to the door." We are ready to take on the purchase of goods from the manufacturer in China, as have offices and staff on the spot. At the same time we guarantee you a minimum time of delivery and optimal total amount of costs.